We need create our business cards. Created high quality business card in vector format (Ai, eps, pdf) for a company with turn round – ~1 day. If you need a visiting card designed for your company or firm our studio can help. Business cards ordinary managers, chiefs and directors, along with the logo, are the face of the company. Taking in hand offered him a business card, a potential customer or partner instantly and unconsciously makes for himself an initial impression of organization with which, perhaps, will collaborate in the future. Of course, to the company’s activity has brought tangible profits and has won recognition of customers in its market segment, it is necessary to use complex mechanisms and put a lot of work and enormous resources. With only one business card is impossible to put the business on a high level. 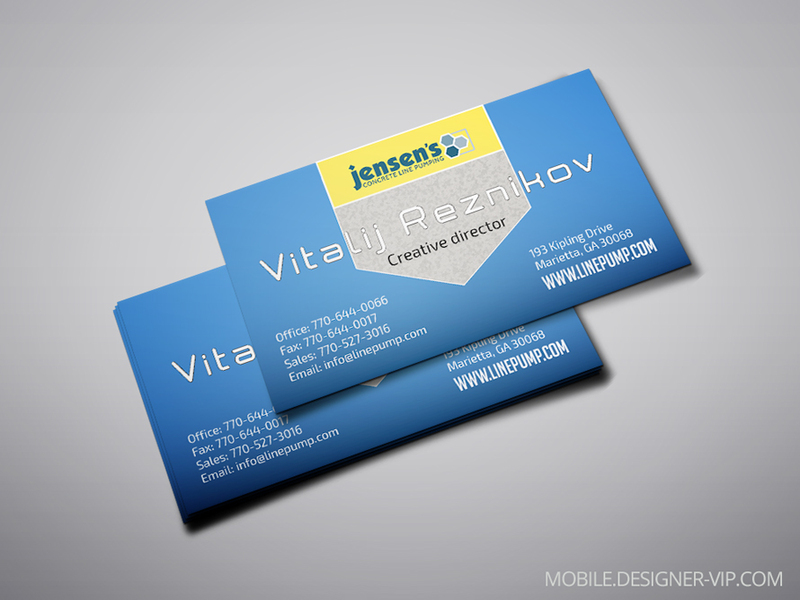 Nevertheless, one can not deny the remarkable additive effect, which is able to give well-designed business card. We can not say that this effect is only psychological. Pleasant impression may be quite justified when looking at the business card. After all, if in such a small piece of cardboard or plastic, you have invested so many resources, efforts and professionalism to impress other people, then your company – it is really a solid organization – so subconsciously will think the man in whose hands your card. 3) what should be shown on a card which fonts are to be used, where the logo will be placed, etc. Working on this project, marketers can also raise a number of other issues. Once these issues are finally settled, the work will be accepted for the designer, which, taking into account the goals, create one or more sketches. Of the several options the business card as a result, one will be chosen, and on which work will continue. If necessary (such as lack of time), you can pass the stage of consultation with marketers, and go directly to the designer, and told him the problem directly. An experienced designer will be able to make their own terms of reference, which you have not given him. In this case, be connected and be ready to answer a number of questions of clarification.